No failure is more painful than failing a rep of double-unders. I mean, how annoying does it get, flogging yourself with a CrossFit jump rope? Well this can be quite a regular incident when pairing skipping with a strength or gymnastic movement, and call the mix a crossfit workout. And I am sure all of us know that feeling. 1 Why are WODs with a jump rope so hard? Strengthens the heart muscle and improve its functioning. Improves the efficiency of respiratory system: facilitates the flow of air in, through and out of the lungs. Improves blood circulation and helps controlling and reducing blood pressure. Increases the number of red blood cells. Reduces the risk for all modern health conditions such as diabetes and obesity. Makes us feel happier, improves cognitive functioning and reduces stress. Of course as with other conditioning types of movements, how hard the jump rope workouts will get, depends on your engine. For beginners skipping itself will resemble a high-intensity interval training (HIIT). Rookie athletes will use more power and energy for a single jump, meaning they will be less efficient, have shorter burst of movement and more frequent rest breaks. A jump rope pro will distribute the energy more efficiently. Their skipping will be softer and cleaner, and performed at a lower intensity which will feel similar to jogging or light running workout. However even pros can break down when tackling on a brutal jumping rope CrossFit WOD. Why are WODs with a jump rope so hard? With muscle fatigue, elevated heart rate and heavy breathing, coping with movements which demand a certain level of coordination and agility, such as double-unders, is not an easy task. For all pros who find double-unders too easy, jump rope crossfit workouts might be a great idea. These WODs combine aerobic exercise with complementary anaerobic movements, such as complex strength exercises which exhaust your muscles and initiate fatigue, and consequently put your skipping coordination to the test. What is primarily a low intensity aerobic activity suddenly becomes a high intensity, metabolic conditioning event. Skipping rope, especially twice or three times in a single jump, under fatigue opens up a whole new world of discomfort. And the following WODs prove just that. Beware: Before tacking on any of the following jump rope crossfit workouts, keep in mind patience is a great virtue. We’ll start off with a simple workout which has recently been posted on CrossFit’s main page. 500 double-unders for time does not feel like to-the-hell-and-back workout. At least until you realized you have to perform 3 body-weight front squats at the beginning of each minute. At the beginning of each minute perform 3 bodyweight front squats. Rest of the time/minute: perform AMRAP double-unders until you hit 500 reps. Score: time it took you to complete 500 DUs. This hero workout was created to honour U.S. Coast Guard Lieutenant Junior Grade Thomas Cameron who lost his life during a military training mission. 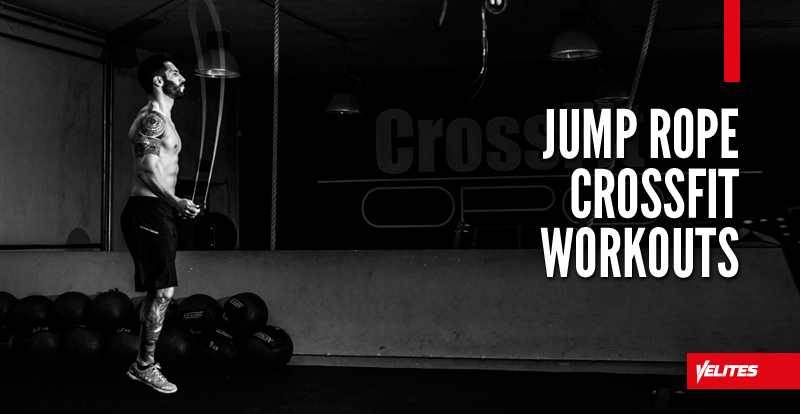 It is one of those rare WODs which involves triple-unders. Score: time it took you to complete the workout. You might know Pat Sherwood from the CrossFit Games media team. But Pat is also a former Games athlete and the owner of CrossFit Linchpin. Linchpin test consists of 12 workouts and tests a broad range of fitness, movements and much more. Triple 3 is a workout from 2014 CrossFit Games. The set of movements actually looks like some sort of a triathlon. Miagi is an old-school 50-rep workout consisting of 10 different exercises. Double-unders are placed are the very end of the mix. Nutts is a classic hero workout dedicated to Lieutenant Andrew Richard Nuttall who lost his life while on duty in Afghanistan. This workout consists of two shorter WODs, Karen and 30 muscle-ups for time. The two shorter workouts are divided by 90 double-unders. Score: Total number of reps. The Ghost is a simple conditioning workout consisting, performed first by welterweight boxer Robert “The Ghost” Guerrero. Score: max reps in rowing, burpees and double-unders. Although quite simple, the goal is to push as hard as possible and hit the max amount of reps in each exercise. Before tackling on any of these jump rope crossfit workouts, make sure you visit Velites jump rope academy to renew your skipping CrossFit knowledge. http://www.fondastrong.com/ Polona has been working in sports media for almost a decade. She is a former editor of the biggest European online magazine on functional fitness with expertise in graphic and interactive communication. 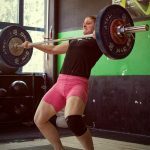 Business aside, Polona is also a former competitive alpine skier with a passion for weightlifting, crossfit and outdoor sports.